Wallace House to welcome Emilio Gutierrez-Soto and his son to Ann Arbor, after their release from a U.S. detention center. 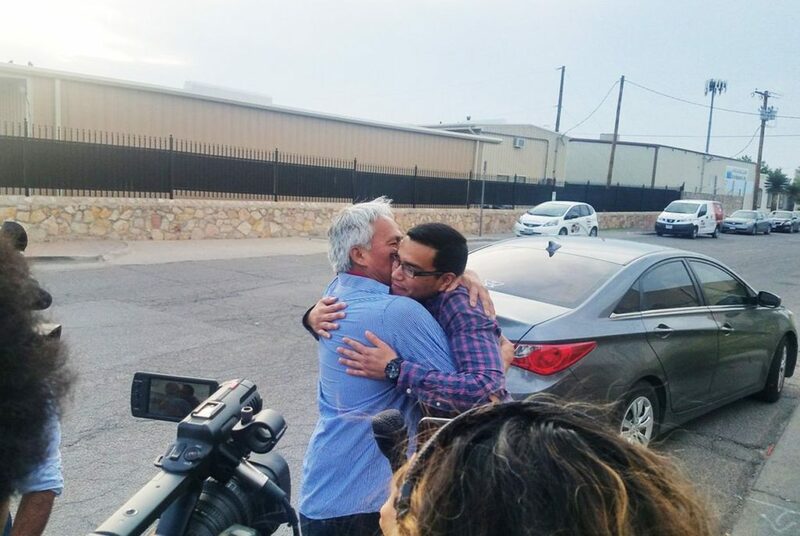 Emilio Gutierrez-Soto and son Oscar are freed from a U.S. detention center on July 26, 2018. Read the announcement in Spanish. Wallace House is pleased to welcome Mexican journalist Emilio Gutiérrez-Soto to Ann Arbor to join the 2018-2019 Knight-Wallace Fellowship class as a Senior Press Freedom Fellow. Gutiérrez and his son, Oscar, were freed on Thursday, July 26, 2018, from a U.S. Immigration and Customs Enforcement detention facility in Texas, where they were held since December, 2017. Their release came a day before a federal judge’s deadline for the Department of Homeland Security officials to produce documents to explain why it detained the journalist. Gutiérrez is seeking asylum in the United States following death threats related to his reporting. Mexico is the most dangerous country in the world for journalists, after war-torn Syria. Wallace House joined numerous journalism organizations including The National Press Club, Reporters Without Borders and the American Society of News Editors to collaborate in support of Gutiérrez’s case. Wallace House, the University of Michigan and the Ann Arbor community are eager to receive Gutiérrez and his son as the family works to resume their life in the U.S. and Gutiérrez has the opportunity to reconnect with journalism. While at the university, Gutiérrez will study issues related to global press freedom and safety. Knight-Wallace Journalism Fellowships invite a select group of accomplished, mid-career journalists to spend an academic year at the University of Michigan in Ann Arbor pursuing individual research and collaborative learning through classes, seminars, training workshops and travel. Knight-Wallace Fellows receive a stipend of $75,000 for the eight-month academic year plus full tuition and health insurance. The program is funded through endowment gifts by foundations, news organizations and individuals committed to protecting the role of a free press.